During Teen Read Week we will launch the first of six Teen Podcast Tinker Sessions. During these workshops teens will get hands on experience using in-studio and portable recording devices, and audio editing software on computers in our Digital Media Lab. We will explore the methods of engaging storytelling, combining a more traditional definition of literacy with digital, media, and technology literacies. In an attempt to provide teens with experiential prompts, we are coordinating with four departments within the Boston Public Library to engage with historical letters, maps, architecture, and library staff members to unearth the stories associated with these pieces. The longer term plan of these initial Tinker Sessions is to generate interest and develop a core group of teens to create a program where regular podcast pieces are produced in Spring 2018 around topics of their choosing. The ultimate vision of this project is to cultivate an activity for teens to grow as individuals, strengthen their voice as a leaders and decision makers, and commit to a project where they can explore and shape their identity. We are partnering with mentors from GrubStreet, a local non-profit that is a leading independent creative writing center, based in downtown Boston. This is a mutually beneficial partnership as GrubStreet seeks to expand its offerings to teen audiences and their expertise increases Teen Central’s capacity to provide teens with access to high-quality writing guidance through professional mentors in our informal learning environment. 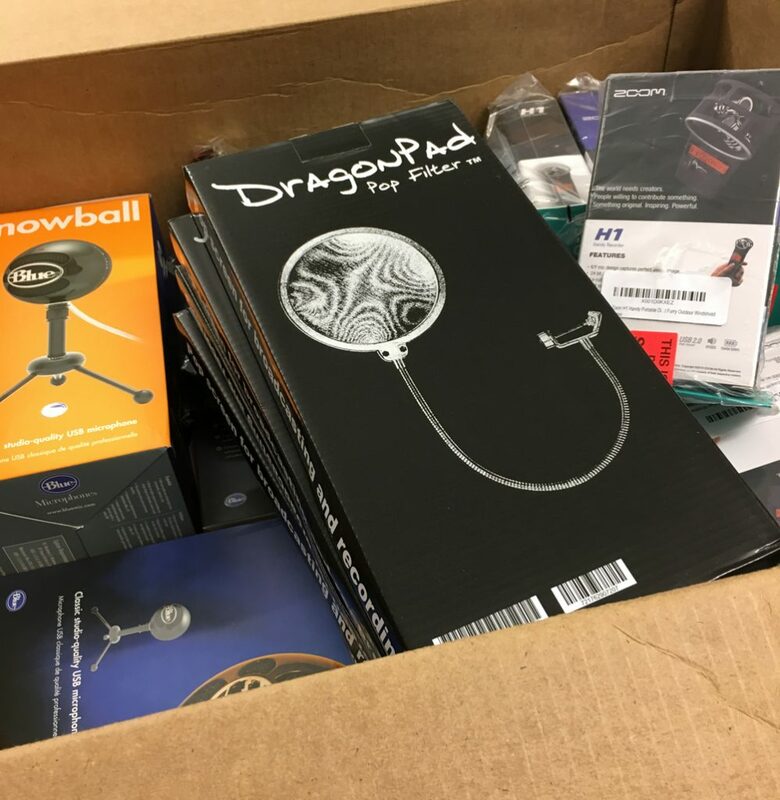 While we have offered programs that allowed teens to tell their story through graphic design, film editing, and computer programming, the practice of performing digital storytelling through podcasts is an avenue and undertaking we have yet to accomplish due to a lack of appropriate equipment, staffing, expertise, and funding to do so. Through the help of YALSA’s Teen Read Week Grant, our hope is teens will be able to critically approach the process of media production, see themselves as media creators, and be empowered to tell the stories that are most relevant to their lives. Through community interviews, collaboration with other teens, and mentor facilitation, teens will be able to provide multiple perspectives and deep understanding of a topic or issue. Boston’s teen community is brimming with strong voices. We are excited and grateful to participate in the TRW grant. Ultimately, this opportunity helps the library and the city to preserve these stories while providing teens with a louder and more impactful platform to have their voices heard. Catherine Halpin is the Youth Technology Coordinator at Boston Public Library, Teen Central. Ally Dowds is the Youth Technology Librarian at Boston Public Library, Teen Central.